This topic contains 72 replies, has 10 voices, and was last updated by wonky 1 month, 1 week ago. any one know when the touran will come on the list. I think that Stewart might be referring to the SEL version of the Touran and if it is, your guess is as good as mine. I think it maybe only off the scheme because of production delays / problems and will be back when that’s sorted. Then on the other hand he maybe referring to the petrol versions? This is currently sat in my local dealer but now not available on the scheme. sorry if it’s repeating yourself, but why did you cancel the Touran? I have the same 1.5 tsi dsg Touran built and in this country, which I should take delivery of very soon. However, as stated on another thread recently, I have asked for proof that this engine has had the known faults sorted. As yet, now over a week and no reply from dealer. When it came to ordering my next car back in July I ordered a Tiguan. At this time WLTP was causing havoc with Tiguan orders. Also the wife said really we needed a bigger boot. So in August I cancelled the Tiguan and ordered the Touran. The WLTP havoc was even worse with the Touran. I was given an expected delivery date of end of November on the Touran. It sat in the status of “Order with Factory” with no signs of any build date. I pressured VW Head Office with a date and they were saying possibly end of January 2019. At this time I was also keeping an eye on the Tiguan I ordered as the dealer did not cancel the order. When I tracked the Tiguan it had been built and was in transit and this was early September. So I decided to fall back on the Tiguan and cancel the Touran. 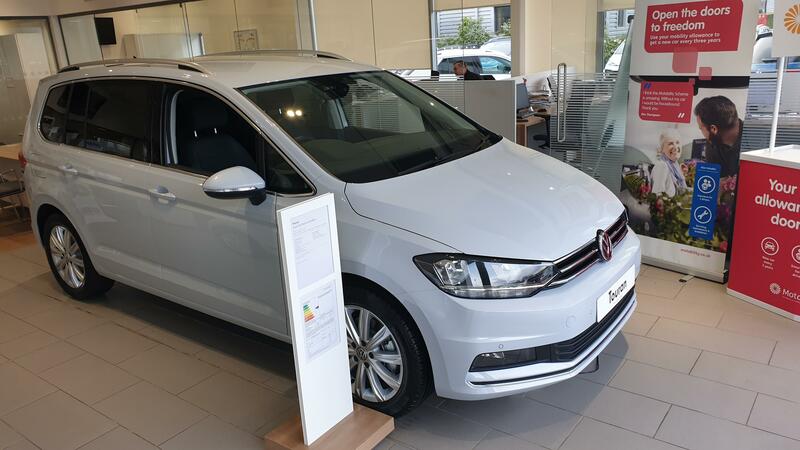 The dealer once again kept the Touran on order and it was delivered to them at end of November. I did not cancel the Touran due to the suspected engine problems. The wife has a Golf with the 130 1.5TSi and that is a great engine in that. Thanks Newfie, I’ll live in Hope the dealer comes back to me with positive proof the 1.5 tsi petrol has its gremlins fixed , otherwise I’m still looking. By the way my Touran was ordered last June and got built mid January! However, I could still have it at the deposit of last June and it’s a petrol SEL which isn’t listed at present, but if engine problems I don’t want to know. This so called engine problem I think is more of a DSG issue with it.If it is I think all the VW DSG has an issue of being in the wrong gear at the lower end at times and can be a bit hesitant. Its a great little car. A little too low for me but its great for what the wife needs. Hi all, anyone got the 1.5 tsi. 150 bhp mated to the dsg box? The 1.5TSi problem is down to a software glitch, and is mainly affecting manual gearbox models. VW are working on a software update. Not every car seems to be affected, with many 1.5TSi owners reporting no problems. I think the best thing to do, is wait till you pick up your Touran, as the dealer won’t know until they get your car and do the PDI checks. Hopefully you’ll have no problems being it’s a DSG, and VW will have a fix by then, if it does. Wonky please take that advice and order the car ! Hi Mike, thanks for advice. Its a tough call. I have trouble with my present diesel Alhambra and it’s DPF. So the chance of trouble with my proposed Touran replacement is very worrying. If I could trust VW it would help, but they aren’t good at telling truth. Decisions, Decisions! At the end of the day you will always get problems with all cars. On the other side of your coin I had a Sharan before my Tiguan and it never missed a beat, it was fantastic. So what it boils down to I guess is gut instinct and which direction you take. Which ever way that may be I wish you many happy miles of carefree motoring. My wife ordered a 1.4 Touran SEL TSI 150PS 7 speed DSG on 23 April 2018. Within two weeks we became aware that VW were replacing the 1.4 with 1.5. Via Live Chat with VW they confirmed twice that the order for 1.4 would be replaced by 1.5 and there was no need to order another one. Then the Emissions debacle. The change date was 22 July 2018. In September/October 2018 the car moved along the line of being built and was delivered to the VW dealer in December 2018. By this time the 1.5 was not on the Motability list. Then dealer tried to get VW to deal with this as a “one-off” but without success. It was understood that this model would be on the new Motability list in January 2019. It isn’t. The main problem/delay seems to surround the VTN (Vehicle Transfer Note I understand). We have tried the Chief Executives of Motability, VW in the UK, and the Dealer, and although we have had contact in some form from all of them, the position is still the same. The car has been with the dealer, awaiting release to us, for over 10 weeks. We keep being told that delivery to us is getting nearer. We keep hoping!! Hi Brian, your story is very interesting and similar to mine. Except, the 1.5 Touran I’m worried about taking for technical issues, has been showing as in this country and on way to dealers for 3 weeks now. When dealer phoned last , saying it had landed in UK and should be with them within days. I asked about same issues as you and I was assured both Motability and VW would permit it to go ahead at last summers AP, even though it isn’t listed on scheme at present. It was at this point I raised the problem with the 1.5 tsi engine, since then they haven’t contacted me, I was assuming it was because they didn’t have an answer to my query. I am very suspicious now. Thanks for your info. There is a problem with these changes of engines with Motability. Because they are different CC and different BHP they have to be passed by Motability and currently as my dealer has told me that he has a load of 1.0tsi Golf SV’s that cannot be delivered to customers due to this issue. Motability are hoping to have this sorted by the end of this month but the dealer has had these cars sitting there since last Sept/Oct. As the 1.5TSi in any Touran form I guess this will hold it up further. You need to ask the dealer this question. The AP should not change and should be the same as of ordering. I ran I touran family car the last shape 184 Dsg sport tdi and I live in London. I was told I’d have trouble with the diesel emissions filter by various people. Others said drive it like it’s a rental car and you’ll be fine, drive it like you want to get the best mpg and you’ll have problems. After 8 years and 106k miles it was still going strrong, passed every mot. Only once did the light come on when I was on holiday in Cornwall and they changed a sensor and all was fine again. Im hoping my new Tiguaun 150 Dsg TDI is the same. Btw thr touran is the most practicle med sized 7 seat suv. Especially if you get the model with the fold flat passenger seat. I need a higher seat position or I’d prob have another. Mike11 on Does this forum have a connection to motability?